Yeah I know the poll only went up a few hours ago, but the opposition seems minor and I won't have time in the next few days to set it up. Besides, it will be a great change from vanilla for a change and if necessary I have a backup and copy of all the dimensions. Welcome to Blacraft FTB! MindCrack modpack. Load the .jar file and select a directory for the FTB files. Go under modpacks and select "MindCrack" for version 1.4.7. Log into your usual Minecraft account at the bottom right corner. Download the modpack and wait for the game to load. You will want to make sure that Not Enough Items is enabled for sure. Press the "O" key to make it on by default. http://feed-the-beast.wikia.com/wiki/Feed_The_Beast_Wiki - Use the wiki! I will be open to mod changes if they sound beneficial overall. Also, I may have to do a map update if something goes wrong or there is a big mod change. I'll try to give more notice than what happened here today for that. 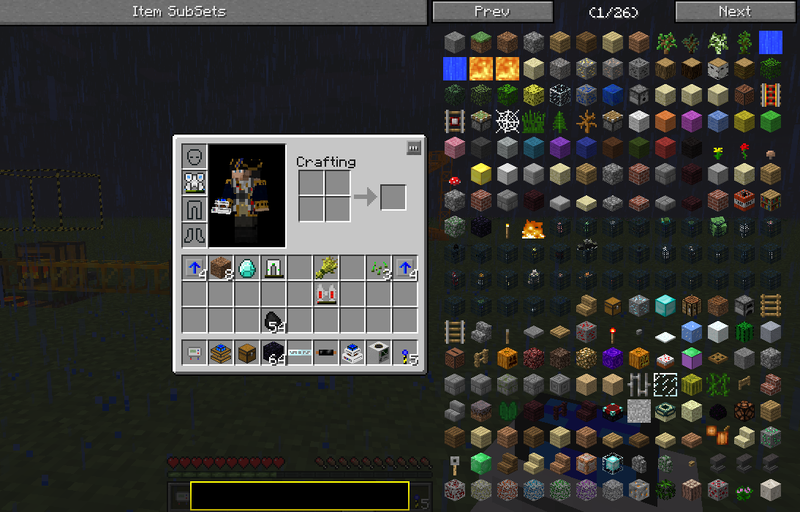 As I mentioned before, in FTB you can easily crash the server. I will ban people who crash the server regularly and repeatably! Lag will be a big problem, so minimize the chunk loaders and anything else that is server heavy. Having thousands of entities loaded will cause lag, and multiple offenses of this will get you banned! Don't go to crazy and try to do some research on CPU intensive things. any nonsarcastic guesses on the lifespan on the tempserv? If anybody sees some squid, please kill one and bring me at least 1 (or two) inksacks, I will barter in trade for it. That's just the search box for the 'not enough items' mod. Also, the server is having some problems right now, can't connect to it. Edit: Finally able to get on, no idea what was going on with it. Hey Bla and yqt1001, http://feed-the-beast.wikia.com/wiki/Matter_Fabricator#comm-57470 I don't know why we didn't think of this earlier, we don't neccesarily have to fight the enderdragon to get the resources from there. Right so, I think the temporary FTB map is done. An update happened and the server and map broke. While the server can be fixed, the map cannot easily, so I figure that we might as well go back to vanilla and either bring back FTB once 1.6 comes out while we wait for 1.6 Bukkit or just do something else then.